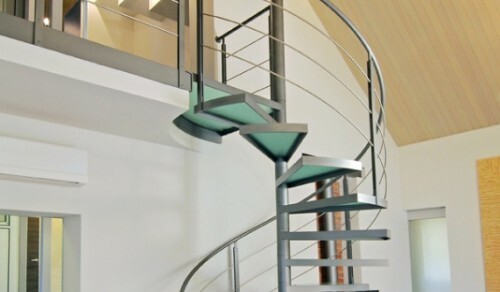 Central pole composed of turned cylinders for regular risers with no spacing rings. 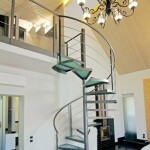 Layered glass tread, natural etched finish, with steel outer frame. 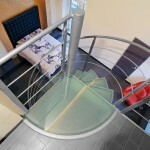 Upper step at 90° width , floor flushed. 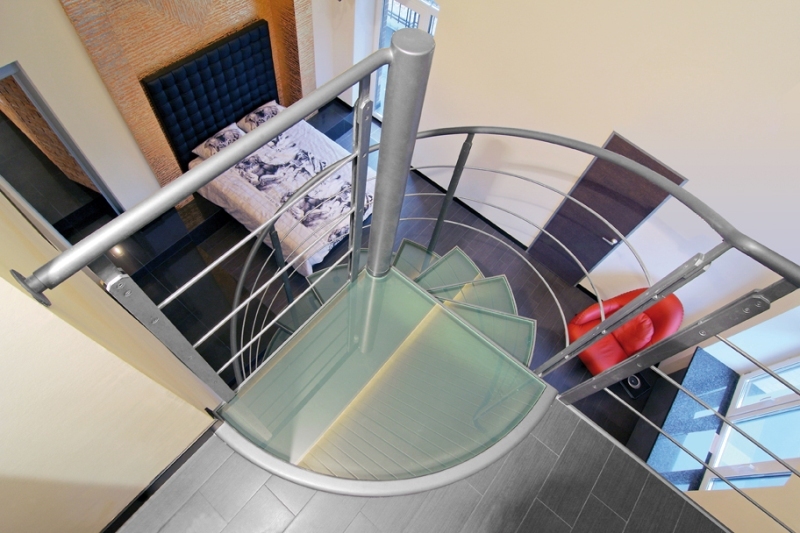 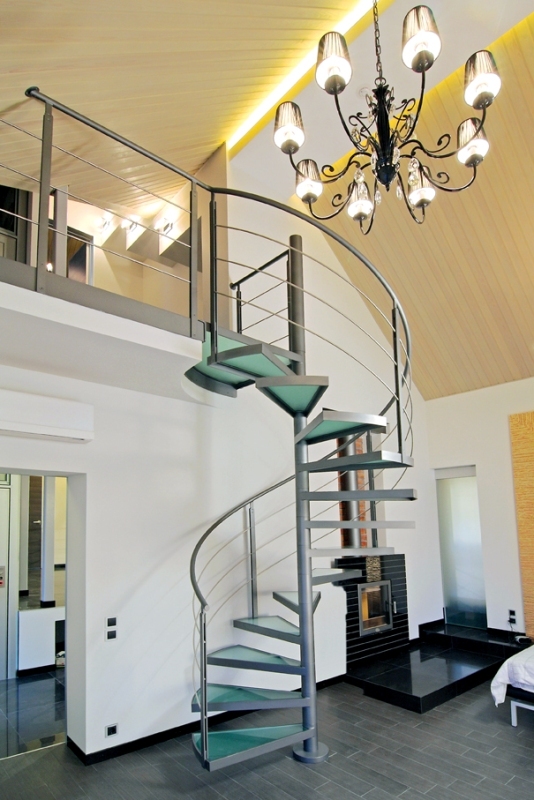 AIR4C banister: 3 satin-finish stainless steel rails, steel handrail, spindles with steel double plate.